Filed under personal on September 20, 2014. 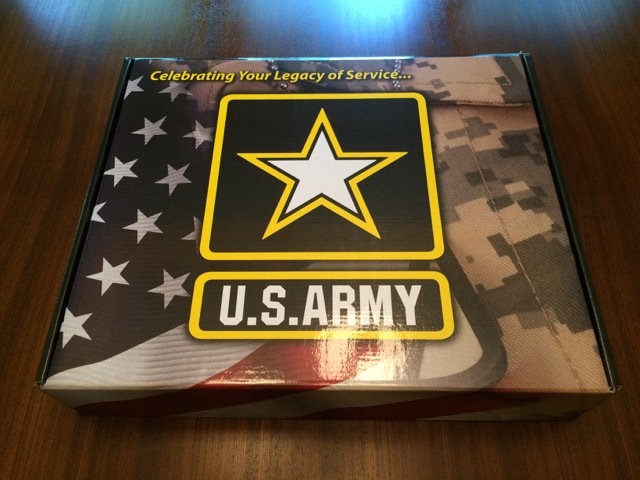 After a three year period, I FINALLY received my United States Army retirement materials. 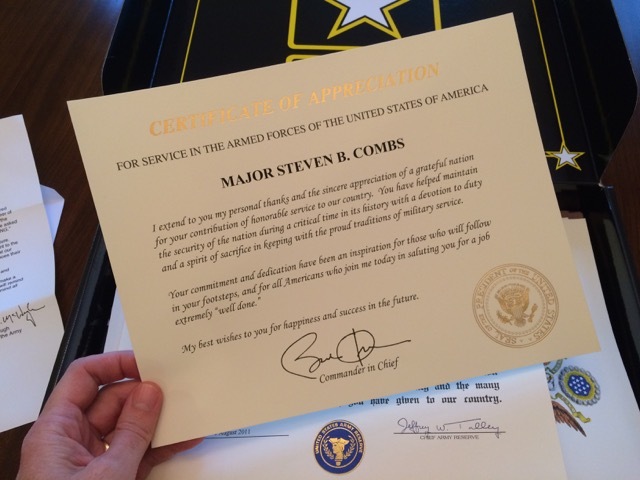 When I left the Army in August of 2011, there was no fanfare, ceremony or recognition from my unit. Honestly, it was a huge letdown after 27 years of military service in both the United States Air Force as an enlisted airman and the United States Army as an Armor and Adjutant General officer. 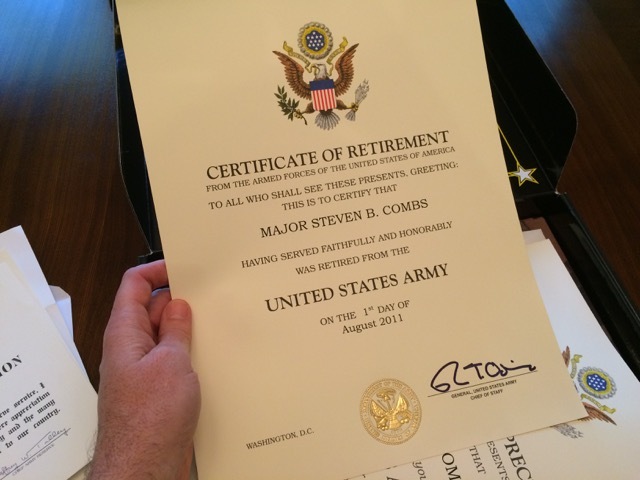 Despite the lack of recognition from my unit, I did think the Army would eventually send me my retirement certificate. It did not happen. Several weeks ago, I noticed that my unit’s major command was promoting their Facebook page for retirees. I decided to drop them a message about my disappointment and lack of materials. A response was almost instantaneous. My request was quickly researched and an apology sent. Within two weeks, a box was on my doorstep. It arrived on a bright Saturday morning. I was elated as I held a warm cup of coffee in one hand and reached down to grab the package with my other. It was like Christmas morning. I’ve conducted several unboxing of gadgets, but today I present the most important unboxing yet. 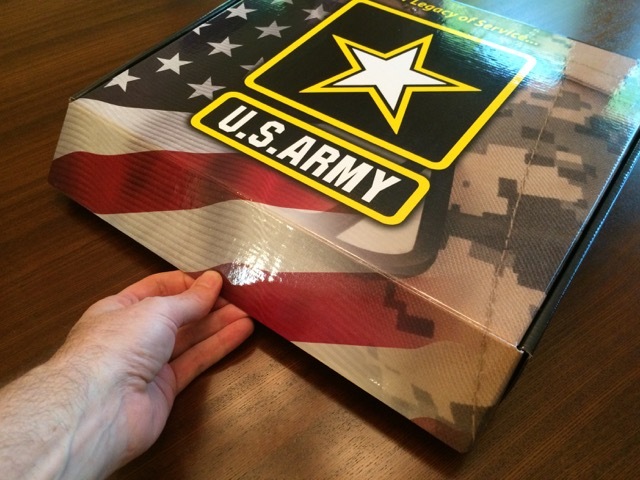 The unboxing of my United States Army retiree package! This is not a cheesy, nor cheap box and is an item that needs to be displayed. I’ll have to give that some thought. Army values play an important part of an Army officer’s career. 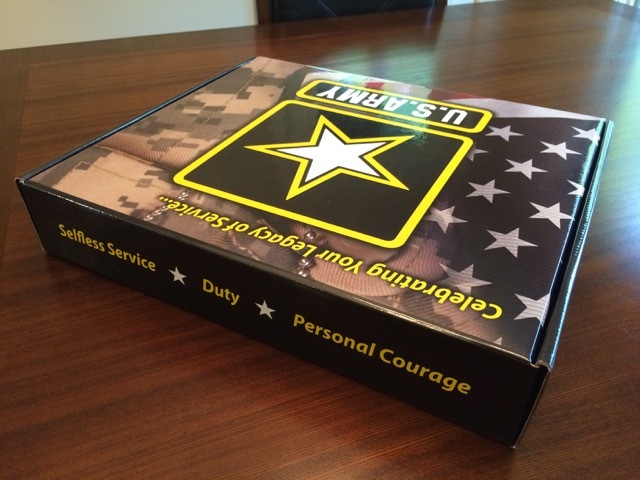 Having them emblazoned on the box is a nice reminder that they are still appropriate in my civilian career and in life. Want to know more about the seven army values? Check them out here. Let’s get down to business and see what is inside. Time to see what is included in the box. Inside appears to be a letter. 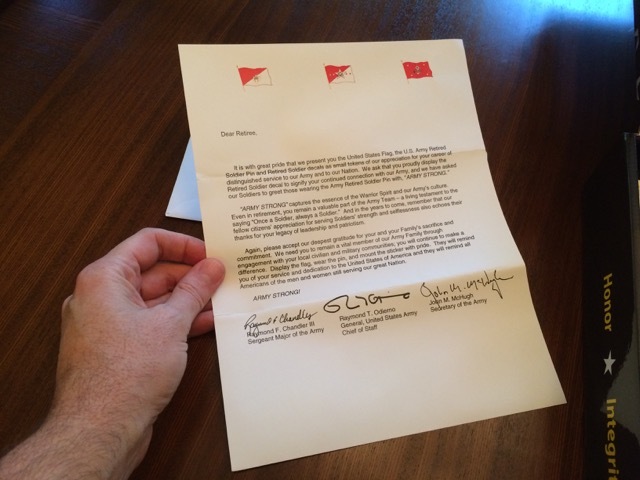 The included letter describes the contents (spoiler alert!) 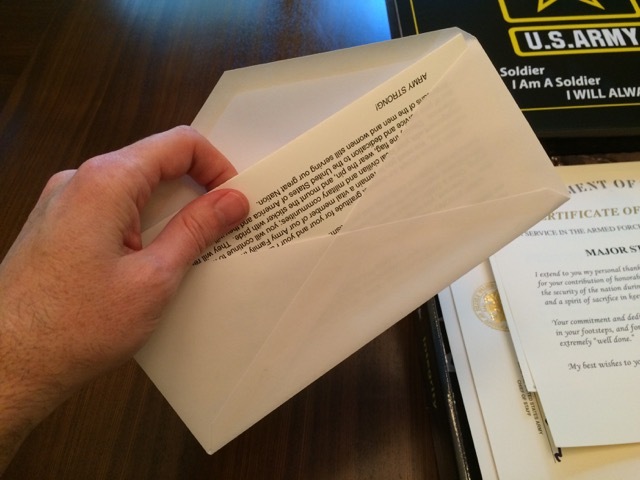 and serves as a letter of gratitude for my service. 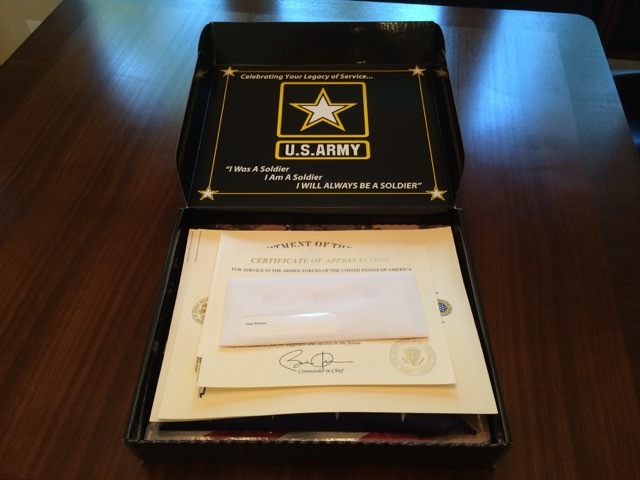 That’s my certificate from the president of the United States (POTUS) and our commander in chief. 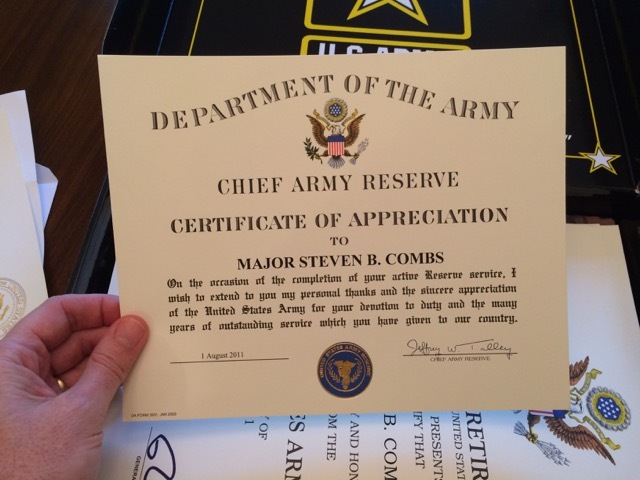 Certificate from the Chief Army Reserve (CAR). 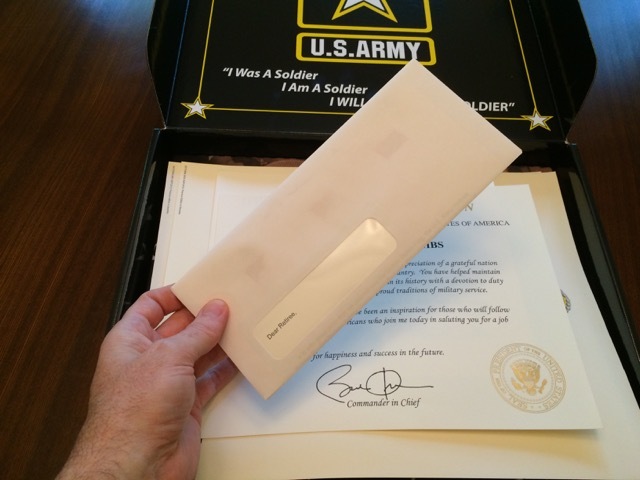 This is the most important document in the box and is from the United States Army chief of staff. Outstanding! This is the second most important document in the box and goes to my wonderful wife, Nikki. 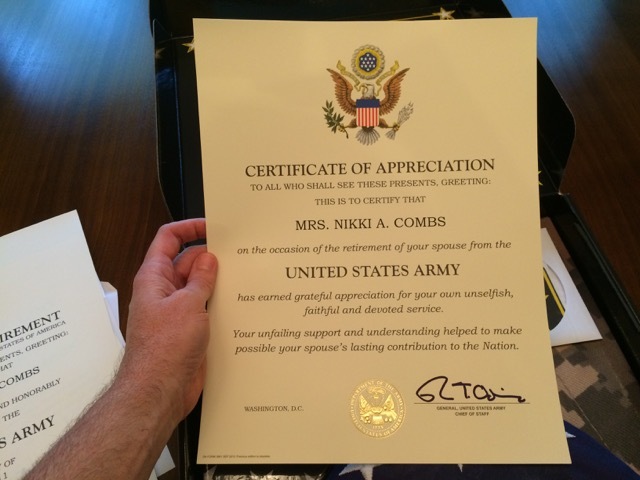 She was incredibly supportive of my career and deserves so much more than this document; however, it is a nice touch. Must get this framed for her office. 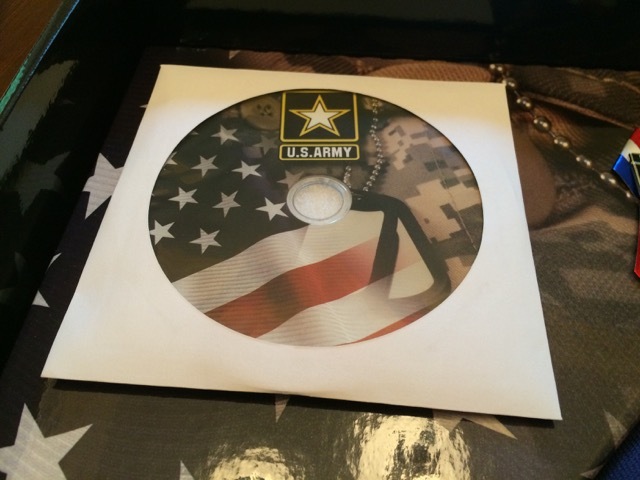 On the top-left is a DVD. In the center is a lapel pin. 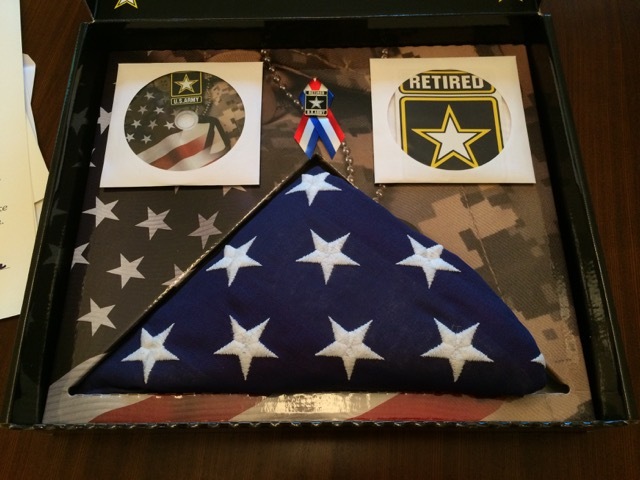 On top-right is an Army Retired sticker. At the bottom is a United States flag. Not sure, but wonder if this is the flag that will be draped on my coffin for my military funeral? Let’s see what’s on the DVD. I ripped the DVD and uploaded it to YouTube so you can view. It’s a great video that demonstrates the impact the Army has on the lives of its soldiers. 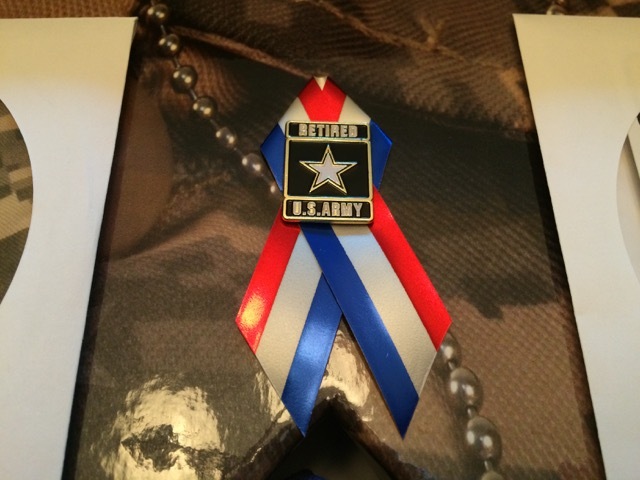 I have another one of these I purchased at AAFES. Might make this one part of a hanging display along with the backing ribbon. How true that statement is. 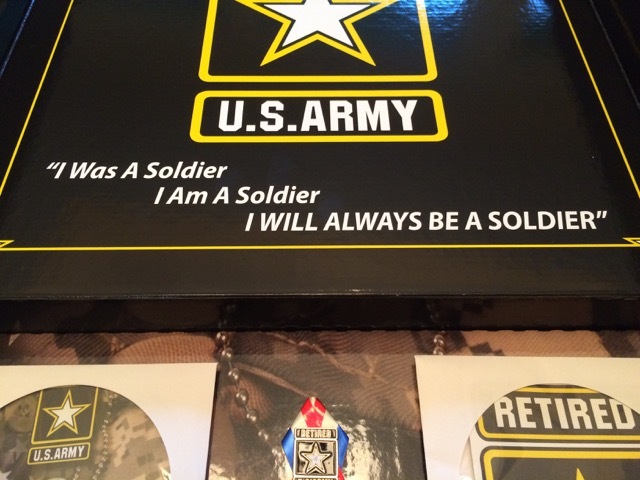 I WILL ALWAYS BE A SOLDIER! While the wait was three years, I have to say, it was worth the wait. Time to get these certificates framed and up on my wall at the office. It has been a great day of reflection on my military career.